“This University hasn’t had a chaplain for some time,” said Father Robert Keffer. Seton Hill hired Keffer as chaplain of the university this year. Keffer works part-time on the Hill Mondays, Tuesdays, Wednesdays and Sundays. As chaplain, he celebrates mass every day he is on campus. Also, every Sunday before mass, Keffer holds the Sacrament of Reconciliation from 6:25 p.m. until 6:55 p.m. On Tuesdays, he holds unofficial office hours. “People are able to meet with me and discuss spiritual counseling and direction. It’s about helping people work through any different kind of life issues,” said Keffer. 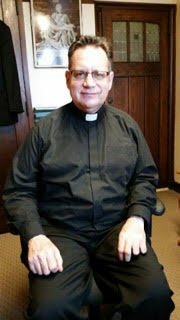 Father Keffer is a Benedictine priest living at St. Vincent college only about 20 minutes away from Seton Hill. He was originally a part of a small order of contemplative Cistercian monks. “It was a quiet, but intense life.” He belonged to the order for over 20 years. There were only seven monks of his order in the United States at the time. “That life trained me very well to be a spiritual director and a professor,” said Keffer. ‘Saint Francis’ ‘…of Science’ and ‘William as St. Bernard 2’ with ‘Quos Pretioso Sanguine Redemisti’ in the background. Photo courtesy of Fr. Robert Keffer O.S.B. He wants to get the various departments and professors at Seton Hill to work together to provide an overall thought-provoking environment in regards to religion. He will be trying to do this by holding coffee talks on campus. 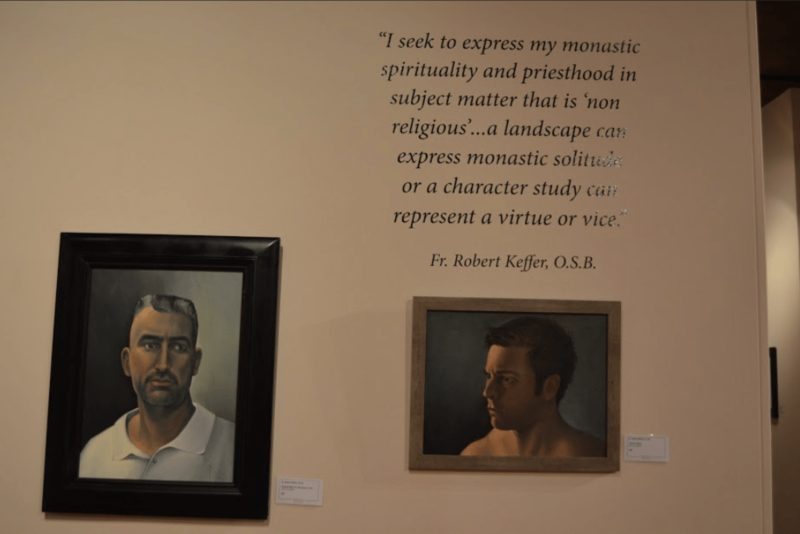 There Father Keffer will meet with SHU students and faculty who are interested in learning more about religious art. He will give a brief presentation and discuss the ideas he presents with everyone else that attends. He plans to start off with a focus on Salvador Dali’s religious art. Thinking about and creating art are a big part of Keffer’s life. He has done several religious paintings. Father describes his art as “realist-surrealist.” A large portion of his art is portraits. 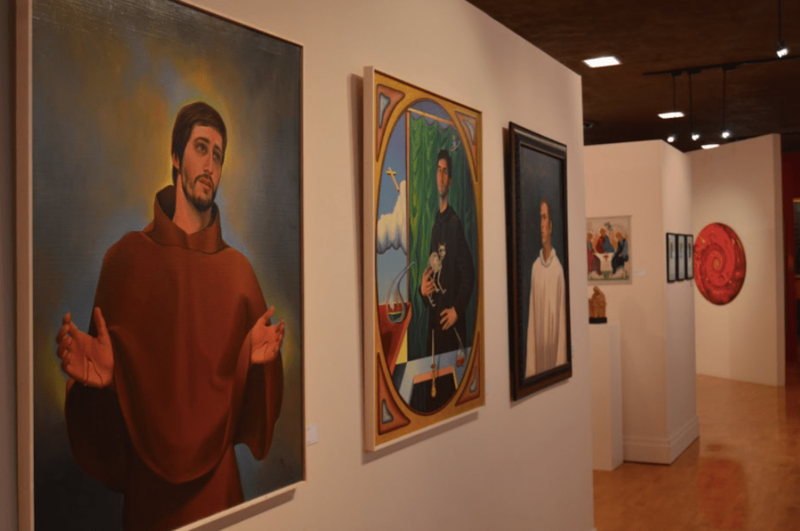 He plans to reach out to students using this art and other religious artist’s work. Keffer said, “every form of art has a spiritual element. This article on Father Robert was very interesting. His artistic and spiritual sides were well developed . Thank you for helping us to get to know him better. He has alot to offer Seton Hill.